Today was exhausting but good. It started out as a really rainy day. The pouring rain started around 2am and it was a great accompaniment to sleep with the nice rhythm of the rain on the metal roofs. Plus it really cooled down so we all snuggled under the covers. But when the rain didn’t let up in the morning, it began to be a little more of a burden as we all struggled to get out of our warm, dry beds. But, we did arise and trudge to the hospital through the mud and were at the ward by 8am. But, the students didn’t show up until a bit later. This is pretty common. Rain seems to be a common and accepted excuse for not coming to work. But, the students did eventually show up and we had a great learning experience. 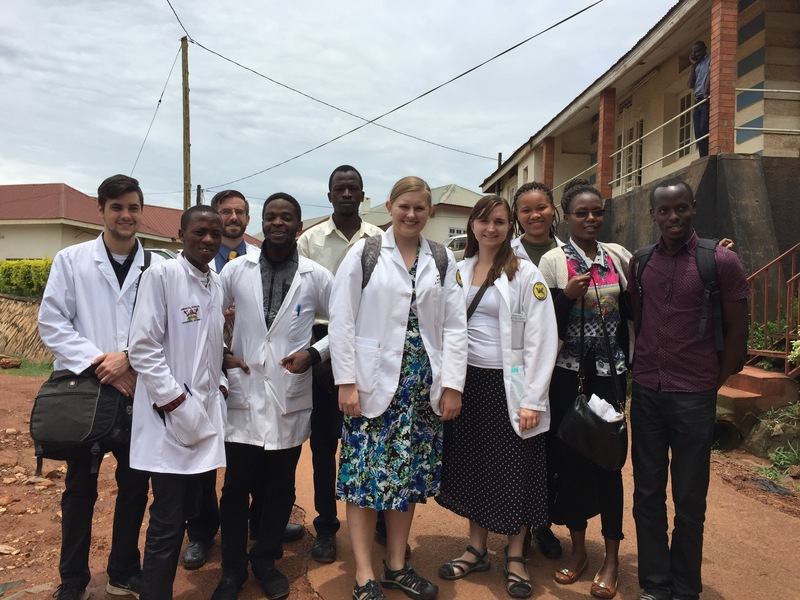 We spent all day on the wards in pediatrics and neurosurgery with Winnie, the Ugandan Pharmacist we are working with, as well as the 3rd and 4th Makerere Students. The doctors were amazing and do such great work despite their meager resources. We felt really needed today – they asked our recommendations on a number of issues. We ended the day with a nice, relaxing dinner. Now it’s time for bed! This entry was posted in Diseases/Health, My Safari (My Journey/Adventure) and tagged Binghamton University, Kampala, makerere university, Uganda, Wilkes University. Bookmark the permalink.